On renewal, your licence must be passed to Marie Gibson with payment. This is to record your membership details properly and place a renewal slip into your licence. It is vital that we can keep our records up to date and that you have a current licence. If you don't have a current licence by the end of April you will not be able to train due to insurance restraints and federation policy. Angie Strike is currently working on the club web site. She has got all of the information she needs and will announce the "Live" date within a couple of weeks. Due to other clubs joining our federation, the places for Squad Training will be specially chosen students. We will encourage all of our clubs to take part and it will be open to all grades. 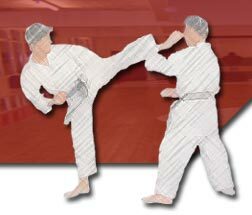 If you feel that you would like to be involved in a Kata Team or Kumite Team then speak to your Sensei and they will be able to give you more information. accommodate all students that wish to take part. We will be conducting a preference exercise shortly so you can have your say on how you feel the club is going and how we could look to improve.